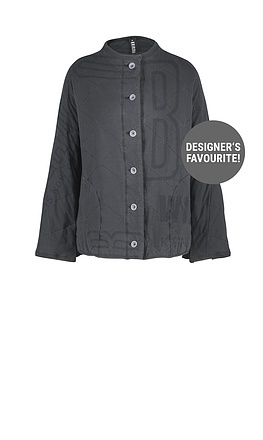 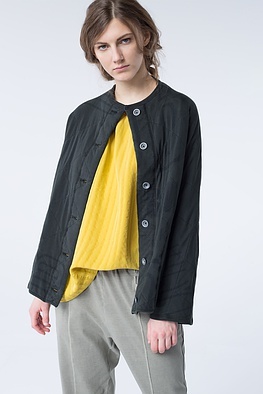 This no-frills simple ISCHIKO jacket combines masculine-inspired influences with feminine charm. 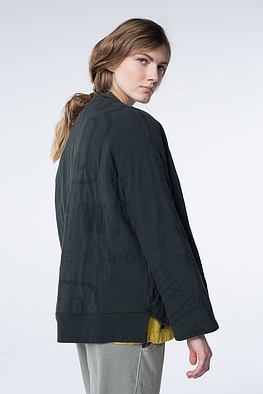 Its design coordinates: overcut shoulders, sporty seams, a continuous button panel, high neckline and pockets. 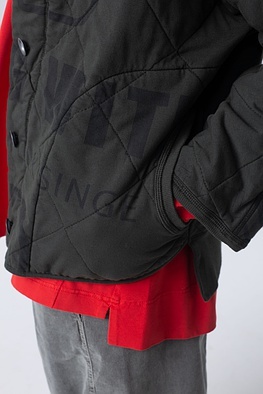 The padded material with a typographic print promises a lot of wearing comfort – and warmth.